Still Running an Old School Test Lab? I'm not talking about the white lab coats, bunsen burners, and test tubes; I'm talking about your technology interoperability and certification lab. During my 25 years in the world of technology I've been through a lot of interop and certification labs. I've seen environments that look like a NASA clean room and labs that make me feel dirty. In every case, the lab managers tell me they want to run the best lab possible, but many fall short due to lack of investment in lab personnel, lack of resources, or little awareness in the company as a whole that a well-run and automated lab can be a competitive advantage. How can a lab be a competitive advantage? 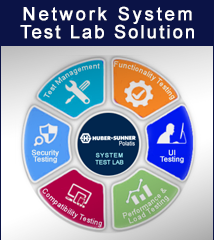 Labs are trusted to certify new equipment for the 'network' - or datacenter, enterprise, IOT component - so that new services can be provided to clients without a glitch, to either increase revenue and/or remain competitive. The longer it takes to certify new gear and new services by relying on manual lab operations, the further away from those goals the company gets. Fast, repeatable, and agile lab operations get these services to market much faster and at a much lower cost. In many instances organizations choose to create individual labs for each portion of the network - think Metro, long haul, IP, CPE, etc. in a telco environment. With automation, labs can share expensive equipment and reconfigure tests remotely and immediately. Using readily available tools, resources can be securely shared between silos without conflict. This also enables 'follow the sun' access to lab resources with 24-hour global access to shared test equipment. Fast issue resolution is another competitive advantage. Not everything runs right all the time. As a vendor trying to get time in a lab I've heard, "we are having a network issue that we are trying to simulate, so you'll just have to wait". I’ve watched this fire drill over and over again. It usually involves dozens of single-mode fiber (SMF) spools on the ground, patch cable spaghetti and $150,000 routers being rolled around on valet carts. An automated lab has an efficient and immediate method to cross-connect any network component within minutes, not hours or days. This level of dynamic connectivity cuts down on network troubleshooting and gets the network resolved in a fraction of the time vs. the old school method. To add insult to injury, the push for network function virtualization (NFV) and software defined networking (SDN) is only going to further stress the old school labs. All SDN-enabled components will need to be recertified to confirm interoperability in the new dynamic environment. But, this is a topic all its own for another day. How tough is it to evolve into an automated lab environment from an old school lab? Not as tough as you might think. First and foremost, the lab team needs a partner in the CFO Office (love that line, plagiarized from a talk I attended). The costs associated with lab automation are usually not in the budget, but the cost SAVINGS associated with lab automation far outweigh the investment. Hence the need for a money-person to be involved. The group also needs mindshare from the organization as a whole in order to be successful. In an automated lab, the person formerly moving the $150,000 router around on the valet cart is going to need to find a new job. And the person creating the Jackson Pollock masterpiece with SMF will be very disappointed. Once those hurdles are crossed, there are a number of specialized software companies focused on providing lab automation management programs, or Lab-as- a-Service. These programs create the environment that allows for reservations of lab resources, the actual test procedures to be run, and for documenting the results of the tests. The process of integrating all of the hardware components within your enterprise is not an easy task. And what I’ve learned is that the basic connectivity of the lab is the simple part, so make sure you have a good relationship with your lab automation software partner. 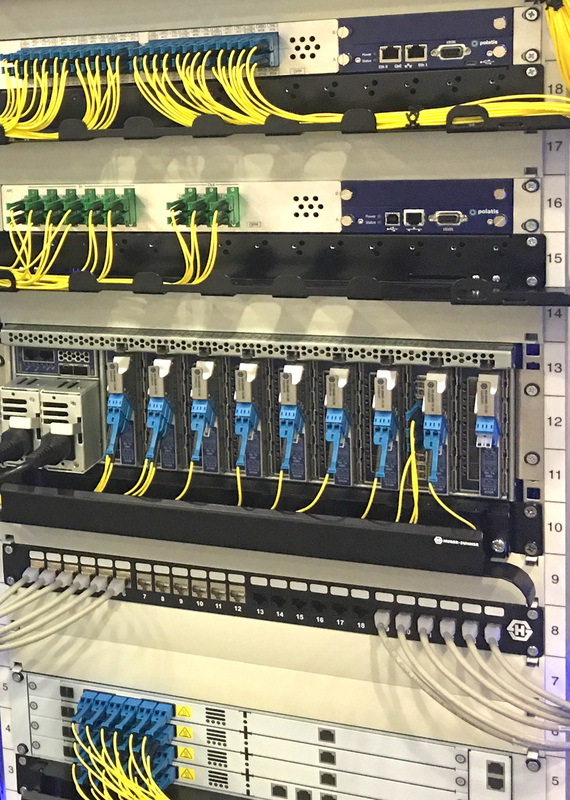 Finally, an automated lab requires a reliable all-optical fiber switch, which provides the dynamic foundation for the lab network. A fiber switch allows cabling to equipment just once and tests to be remotely configured on demand. The switch should be as transparent as possible to deliver the most accurate test results, sized properly to interconnect all network elements within the lab today (with some room for tomorrow), and be fully compatible with the automation software package. By cabling just once, the lab results are not subjected to potential fiber hygiene issues (it happens all the time), creating a repeatable and reliable result. Working with the integration software, the switch provides partitioned testing environments, which allow multiple groups within a company to run testing simultaneously, saving time and money. Switches must be all-optical to be transparent to ANY optical speed/circuit type/number of wavelengths, so that as line rates and transmission formats continue to advance, the investment is preserved. As an optical switch vendor, I spend my days discussing the advantages of lab automation and the expected positive results. Our HUBER+SUHNER Polatis all-optical switch has been widely accepted as the industry standard in all-optical fiber switches for lab automation. I'd enjoy hearing your views on how lab automation could work for you.